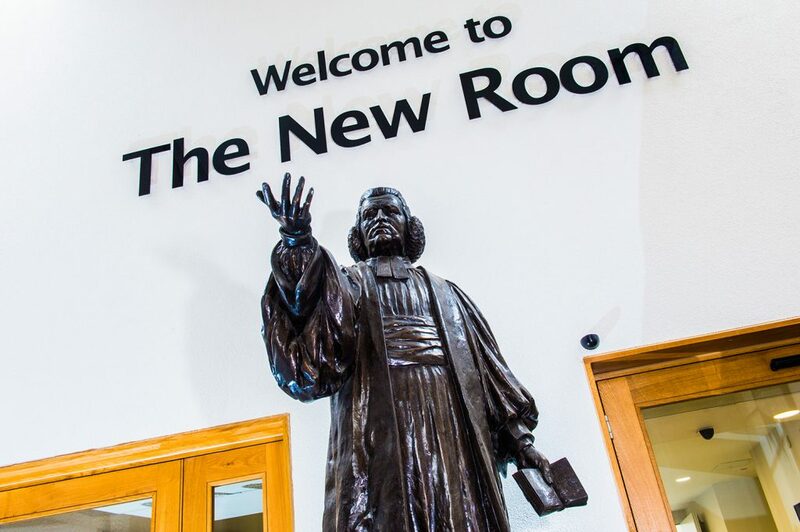 The New Room has been a venue for people to meet and engage with since John Wesley opened the building in 1739. 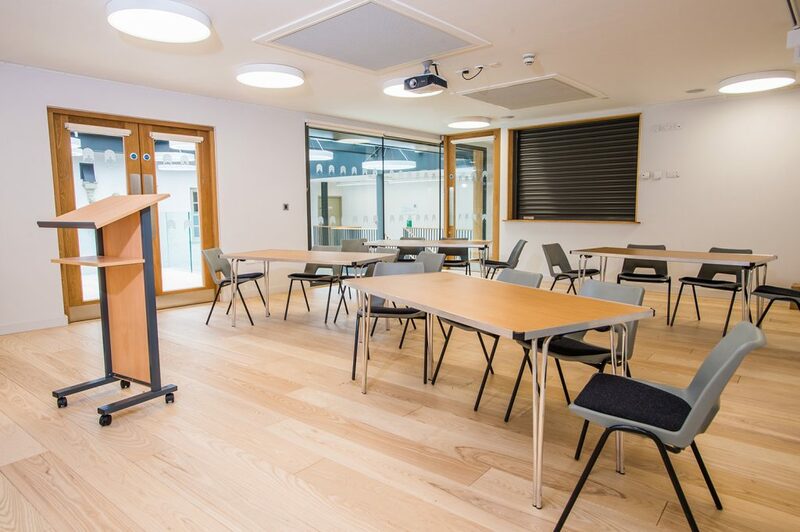 Our offer of hospitality continues today with four distinct spaces available for hire on the site: the 18th century chapel; the 21st century Horsefair Courtyard building and atrium space; and two dedicated meeting rooms. Enjoy refreshments from our on-site Fairtrade cafe, choosing from our hospitality menus or working with our award-winning cafe team to develop bespoke menu fitting your preferences and budget. 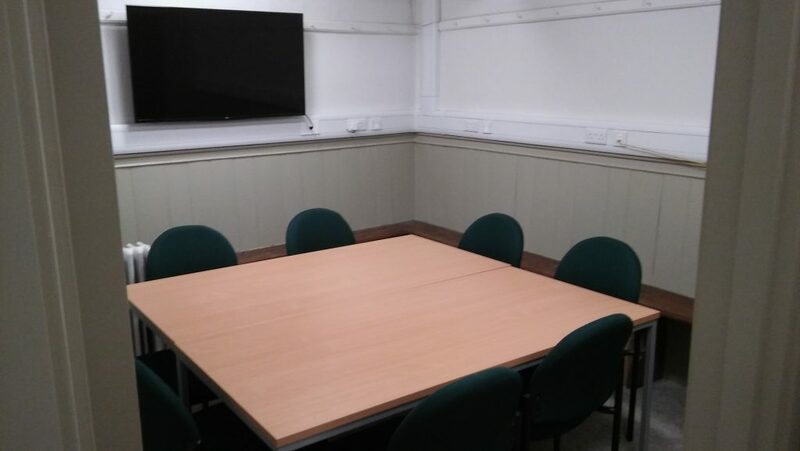 The servery adjoining the Horsefair Room is available for use if requested and access to these facilities is £10 + VAT per booking. 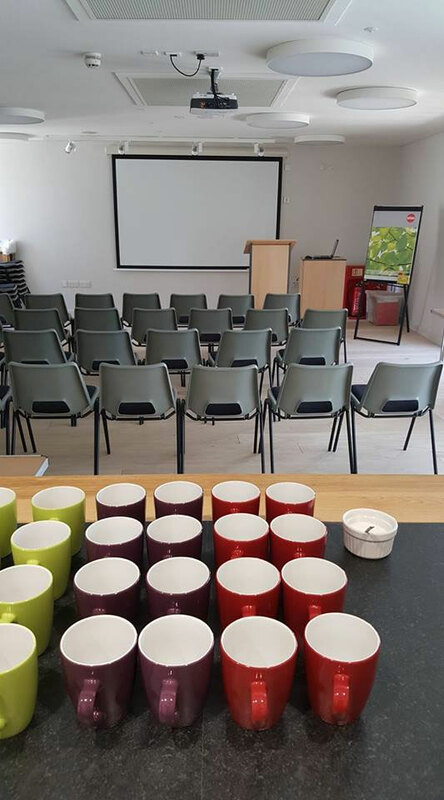 Alternatively, the New Room catering team can quote for the provision of refreshments based on your specific requirements. There is no access to a servery. However, the New Room catering team can quote for the provision of refreshment based on your specific requirements. In addition to our two meeting spaces, the 18th century chapel at the New Room is available to hire and has, over the years, hosted a wide variety of events such as concerts, recitals, conferences, exhibitions and theatrical performances as well as staring in a number of major TV dramas and documentaries. This 400-seat capacity space has an intimate, unique atmosphere that is particularly highlighted during evening performances with the use of candles. If you’re looking for a modern, dramatic space in the city centre then consider the atrium in the new Horsefair Courtyard building. 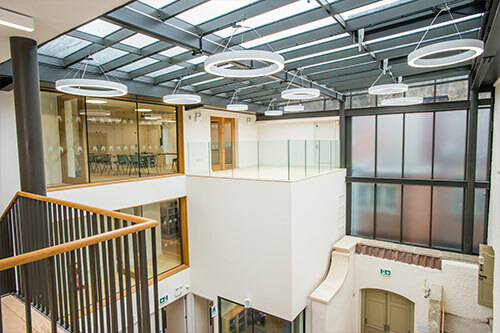 This three-storey space, located next to the Café at the New Room, offers wonderful acoustics for musical performances and other events such as book launches or talks. Our award winning café can provide a range of catering options based on your requirements from drinks receptions to buffet lunches. We look forward to welcoming you to the New Room!